In this revision of the classic text, John Feinberg examines questions posed by the problem of evil. 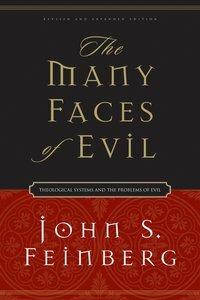 About "The Many Faces of Evil (2004)"
^In this examination of the questions posed by the problem of evil, John Feinberg addresses the intellectual and theological framework of theodicy. Beginning with a discussion of the logical problem of evil, he interacts with leading thinkers who have previously written on these themes.